Vanity, thy name is Hermes. Owning a Hermes is every women's dream, but for those who take pride in owning a whole collection of these very expensive birkin bags, including the Rouge Crocodile skin and also the Hermès Diamond Birkin, the French luxury brand has introduced four new Hermes Birkin bags crafted from gold and studded with precious gems, which will perhaps be a piece of jewelry and not just a handbag alone. 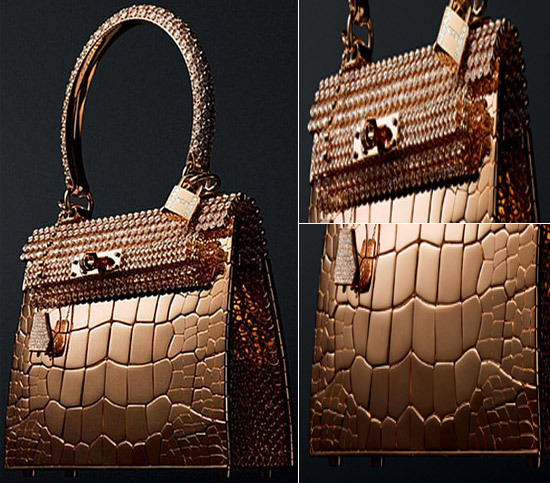 Each of the four bags adorn a $1.9 million price tag. After all, when designer Pierre Hardy worked on it for the past 2 years to recreate the intricate specimens of design, it is bound to be something truly eye-watering as this one. Unlike the other standard creations, this handbag is virtually a bracelet in itself, due to its rather miniature sized frame. In what is looking like a leather based body, there seems to armor of rose gold on the body, and thousands of individually crafted diamonds around the bracelet strapping, which are of course what will grab the eye balls. 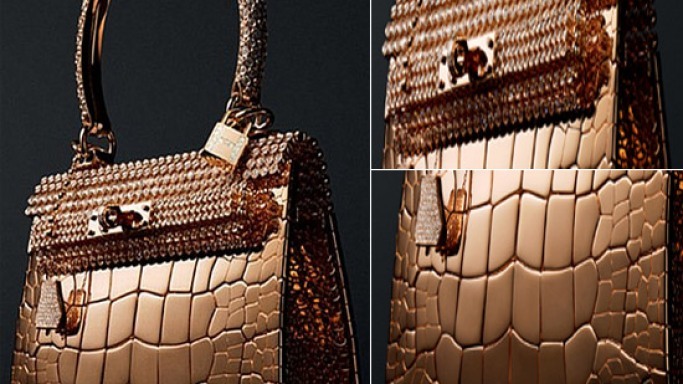 As Mr. Patrick Thomas, CEO of Hermes said, they have indeed gone a bit crazy with this bag, by taking the concept to luxurious fabrication on to another level altogether. When the creator, or rather designer like Pierre Hardy in this case, spends 2 years on the job to recreate the patterns perfectly and craft each stone individually for this handbag, there is a natural demand for the exclusivity factor here. Though we have no word on whether it’s a one-off piece or not, but it seems it just might be the case. What we are also waiting to see eagerly, is the person who would splurge this much on a single handbag such as this one. It would be safe to say, that she/he just might have a few bodyguards around to protect this valuable bag. And, this one sure belongs to the list of most expensive handbags we have earlier told you about.